MorrisMovies: Game of Thrones- Is it as good as the hype suggests? 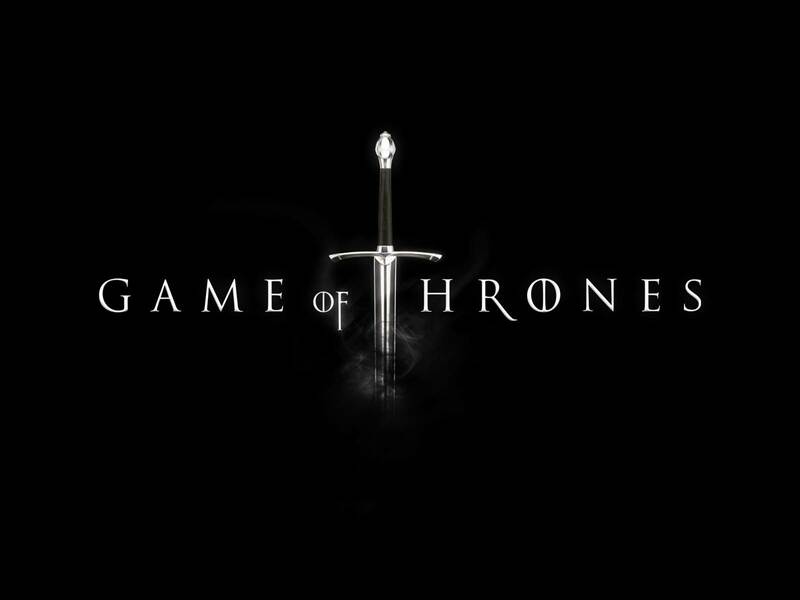 Game of Thrones- Is it as good as the hype suggests? With a stellar 34 awards already behind it in just three years, it's safe declare HBO's Game of Thrones one of the most successful and critically acclaimed television productions in recent memory. Based on book series A Song Of Ice and Fire by George R. R. Martin, and set in the fictional realm of Westeros, this epic fantasy production incorporates a lengthy list of central characters, and makes use of many strong themes, such as royalty, hierarchy, feminism and family values. The hype behind this programme is extraordinary. Before I began with the series earlier this year, everywhere I went people discussed Game of Thrones. Avid viewers compared their reactions to important moments, and people fought over their personal favourite characters. Sceptical as I was to begin with, I reluctantly put the DVD into my laptop, put my headphones on, and pressed play. Game of Thrones is less a TV series, and more a world in its own. The production that goes into this programme is unlike anything else currently on television, and it shows. Only a few episodes in, and our setting is not only established, but known. Locations such as King's Landing or Winterfell seem like places we learnt about in history lessons, characters like Eddard Stark and Robert Baratheon feel like famous historical figures. The reality presented is so powerful and real. And this is just the beginning. Inside this compelling world we're treated to a host of strongly developed characters, genuine emotion, powerful stories and, as reputation has said, extraordinary violence. Being such a large scale production, Game of Thrones offers a sizable extent of characters. As with anything, each individual viewer has their individual preferences as to favourites. For me, the strongest character is Daenerys Targaryen. A powerful example of strongly positive feminism in the series, Daenerys is a strong-willed character who overcomes the viciousness of her brother and ultimately lands as one of the most armed and dangerous women in the show. But not only is she a down-right awesome character, she is a clear example of the development that goes through each and every character we see. By the end of the third and latest season, no character is the same as they were when we began this journey. Also, the acting must not go unnoticed, as it has not in numerous large award ceremonies. The most decorated actor here is Peter Dinklage, who plays Tyrion Lannister, a dwarf. Armed with a script filled with brilliant humour, deep emotion and general realism and truth, Dinklage is allowed to shine through from beginning to end. In fact, there are no weak actors or actresses here at all. Even the children, particularly Arya (Maisie Williams) are equally as strong as their adult fictional family members, a truly rare gift. Also worth commending is the sturdy plot development, which allows stories to last over 30 episodes without feeling tired or growing dull. Despite a few stories not quite hitting the mark (Theon Greyjoy's relentless torture in Season 3 grew tiring woefully quickly), on the whole the plot is exceedingly good. Three central stories are woven as one, with countless sub plots taking place simultaneously. There is always something happening, and each episode develops the overall story further. Game of Thrones is one of those rare productions where there are no filler episodes; every minute of screen time matters. The stories do eventually become thick and congested, but never distressingly so. As heavy as the plot becomes, it never loses touch with its audience connection. There is a very fine line between complexity and confusion, and the writers effortlessly ensure Game of Thrones remains complex, but never reaches confusing; a difficult task to endure. The visual effects used throughout the series are above and beyond anything any other programme could even dream of having. The money that goes into Game of Thrones is incredible, and visually, it pays off. The visual effects highlight of the series is undoubtedly the wildfire explosion that begins the battle of Blackwater Bay, towards the end of the show's second season. An enormous, fiery explosion of green and black that destroys hundreds of large battleships in its path, and it looks as real as it would in any modern blockbuster. I'm not entirely sure as to the budget of Game of Thrones, but it must be huge. And with the ratings and critical reception the show receives, it's certainly worthwhile. The make-up is also commendable, with particular references to the brutally violent battle sequences. Whether someone is being lightly sliced with a sword, or having their whole head taken off (a seemingly common case of affairs within Westeros, apparently), it seems as real as can be. Finally, I feel I must talk about one scene in particular, a scene that takes place in undeniably the most infamous episode of Game of Thrones yet. A scene that had the entire world talking, even people who don't watch the show found it on YouTube, just to see what hit everyone so hard. A scene that viewer's filmed their friends reacting to. A scene that took place in the final of moments of Season 3 Episode 9; The Rains of Castamere. Now, if you are currently watching or plan to watch Game of Thrones, I advise you skip to the next and final paragraph, as this is gonna get pretty spoilery. What happens in the final moments of this particular episode is so barbaric, so horrific and so heart-wrenchingly upsetting, that it is still a wonder to me how it got on national TV. That very moment Catelyn realised what is about to happen, and simply yells her son's name, she is suddenly forced to watch the pregnant Lady Talisa be repeatedly stabbed in her womb as Robb Stark is shot dead by archers. This takes place in roughly 10, maybe 15 seconds. And, quite literally it comes out of thin air. The writing and editing here is phenomenally paced; you simply do not see it coming, at all. And when you do realise something's up, this is the last thing you expect. The scene ends with Catelyn Stark herself (one of my personal favourite characters) also being killed, and dropping to the floor. The credits the roll, and for the first time, they are in silence. No other production currently on TV would dare to go near the brutality and viciousness of that particular scene. Not only does Game of Thrones think about doing it, it does it, and it does so with sheer brilliance. To put it bluntly, Game of Thrones is probably the single greatest production I have ever seen on TV. It's difficult to label it my favourite show, as the nature of it renders it hard to enjoy some times, but when it comes to the technicalities and the overall strength of the production itself, you'll be hard-pressed to find anything in the same league as this. Not only are the characters interesting and well developed, but they bring out powerful emotions in the audience. I've never known such a hated character as Joffrey 'What a Git' Baratheon. The stories ultimately fill all three seasons with depth and never become boring, and the scripting work is effortlessly strong; often simplistic, occasionally complicated, but always strong. The visual effects, costumes, make-up and cinematography all also contribute towards this show's undying success. 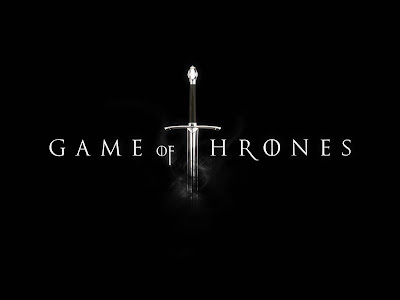 The title of this article asks whether HBO's Game of Thrones is as good as the hype suggests.